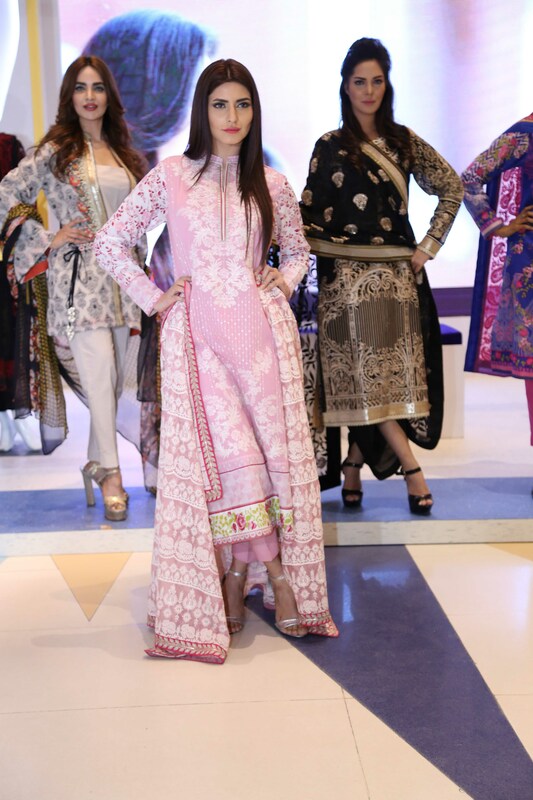 Home Fashion Gul Ahmed Presents The Original Lawn Volume 1! 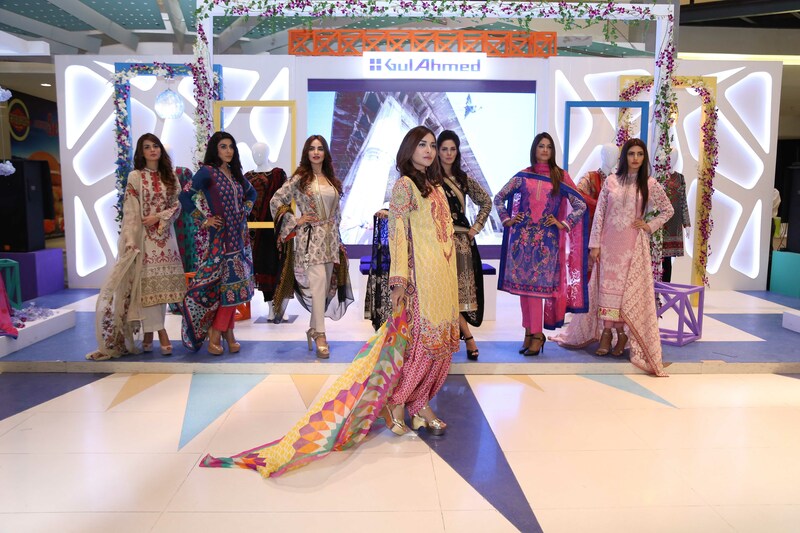 With its true commitment of bringing the finest and classic lawn collections, Gul Ahmed being Pakistan’s premium textile powerhouse launched its new Spring/Summer lawn collection volume 1 on February 26, 2016 in a star studded event. 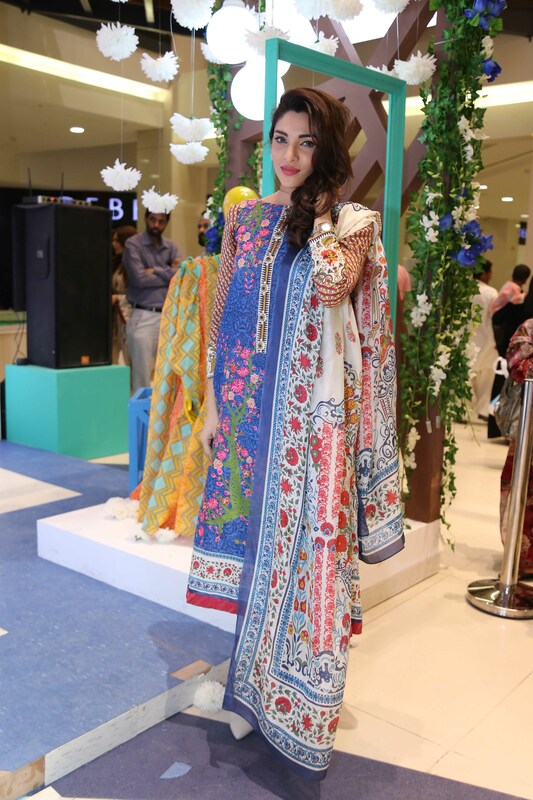 The launch at Dolmen City Mall became a center of attention for media personnel, blogger community, fashion fraternity as well as avid shoppers as they flocked toward the store to catch a glimpse of the latest collection. 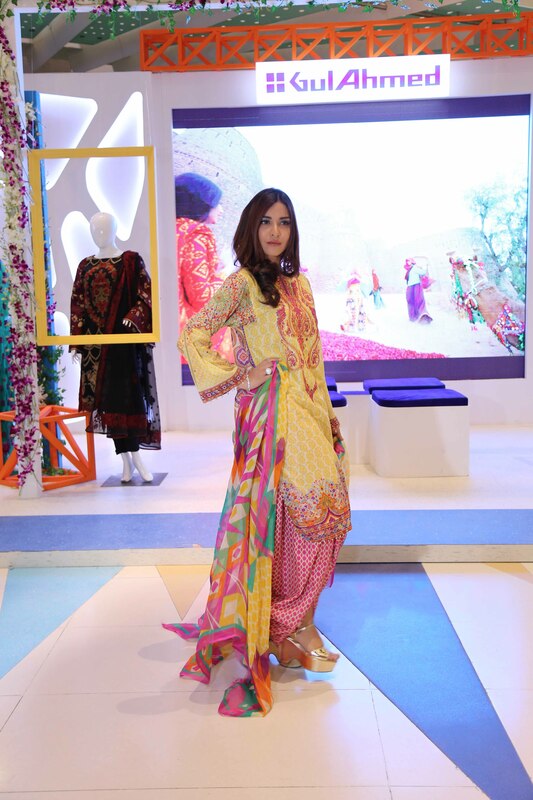 This Spring/Summer 2016, Gul Ahmed brought forth a wide array of psychedelic and ethnic prints with an interesting mix of vibrant and soft pastel hues. 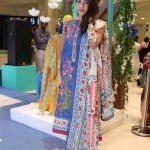 It promises to encapsulate the sensuous, elegant, and timeless element to its lawn. 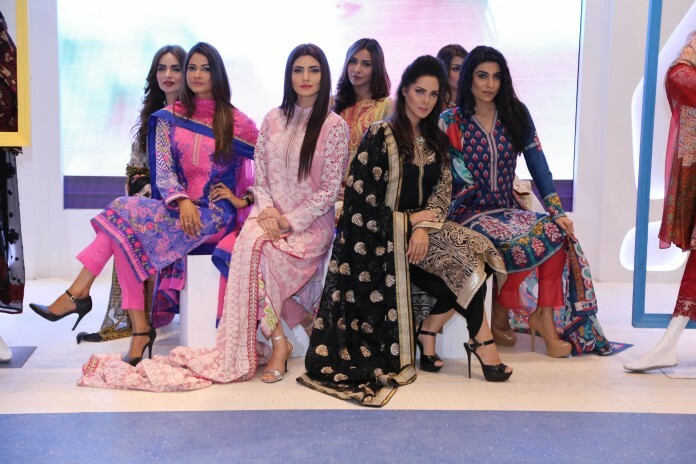 And for that, it has primarily designed this collection keeping in mind the tastes of modern women who seek for outfits that grawl with sensuality and yet retain an aura of inheritance and tradition. 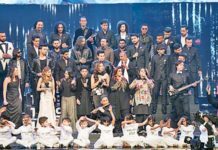 The event for the unveiling of SS volume 1, started as celebrities, socialites and city’s elite including Iman Ali, Sana Fakhar, Zhalay Sarhadi, Sunita Marshall, Neelum Muneer, Ahsan Khan, Shamoon Abbasi, Angie Marshall, YBQ, Beneeta David, Sunita Marshall, Rabya Chaudhry, Nimra Khalid, Danish Hayat, Kiran Khan, Danish Wakeel, Areeba Habib and many others flocked the red carpet where the ravishing red carpet host, Anoushey Ashraf welcomed them. 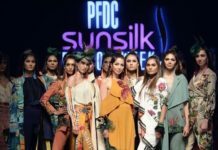 This was followed by an exclusive fashion presentation featuring models like Areeba Habib, Saima Azhar, Falak Shaikh, Saima Haroon, Humera Asghar, Faiza Ashfaq, Hira Ejaz and Misbah Mumtaz who walked the runway adorned in the sorbet-shaded designs of Gul Ahmed’s latest collection. The event was hosted by the gorgeous Zhalay Sarhadi. 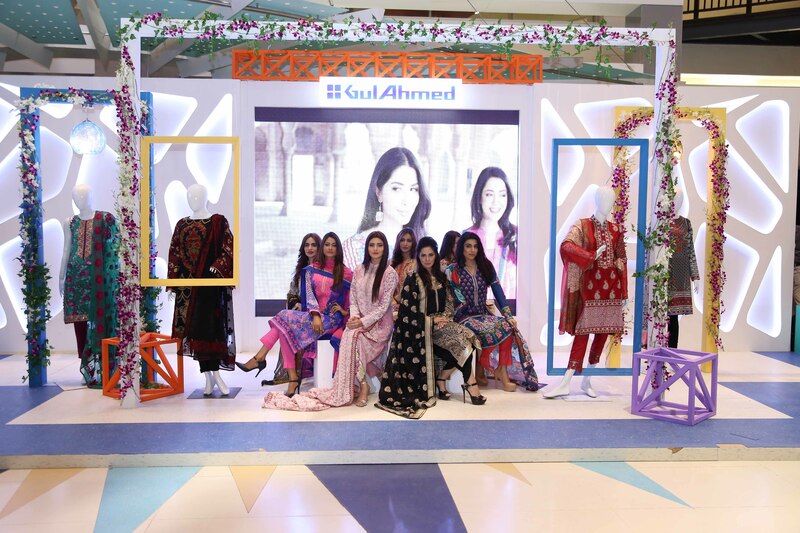 Focusing on extreme craftsmanship of minimalistic cuts and classic silhouettes, Gul Ahmed Lawn Volume 1 has officially launched and is set to take the markets across country by storm. 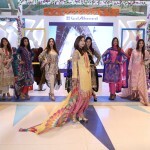 This event was organized by Keys Productions. 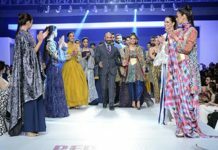 Gul Ahmed is playing a vital role not only as a textile giant, but has its strong presence in the retail business as well. 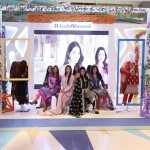 The opening of its flagship store – Ideas by Gul Ahmed– marked the group’s entry into the retail business. 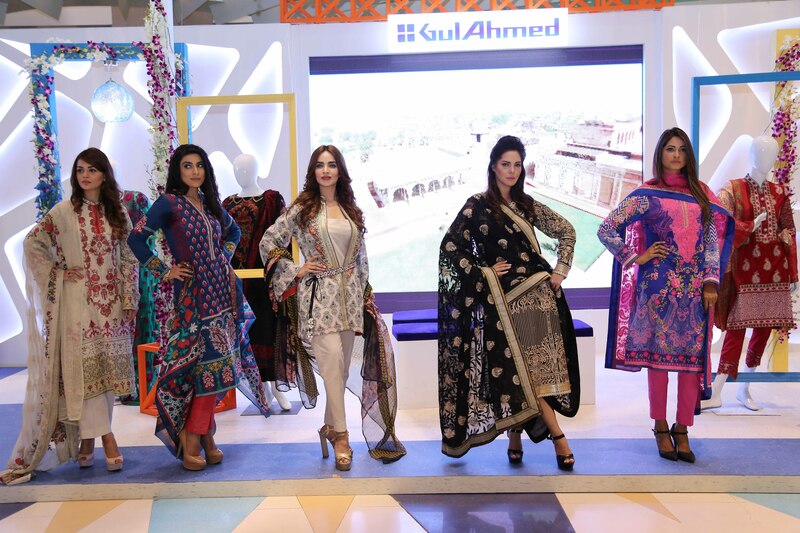 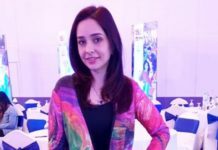 Starting from Karachi, Gul Ahmed now has an extensive chain of more than 60 retail stores across the country, offering a diverse range of products from home accessories to fashion clothing. 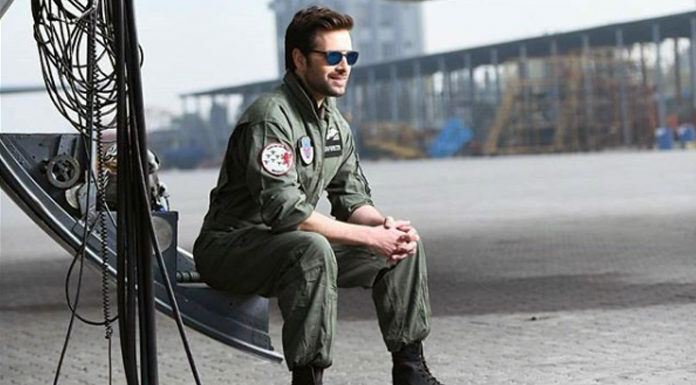 More than 50 years since its inception, the name Gul Ahmed is still globally synonymous with quality, innovation & reliability.